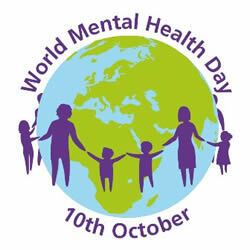 Here at WorkPlace Leeds we have been busy promoting “top tips” for marking World Mental Health Day to employers across the region. What’s happening where you work? What will you do to celebrate? Why not host a ‘tea and talk’, make the ‘time to change’ pledge or call a colleague in need? Take a look at our helpful hints for more great ideas and help end mental health stigma. 1. Putting up a poster in your workplace to promote positive attitudes to mental health. Leeds Mind offers specialist ‘Skills for Managers’ training to empower managers to better manage staff with mental health difficulties. See attached leaflet for more information. Training is also offered by ACAS and Community Links.